Alloy 20 weld neck flanges for an Indonesian client. 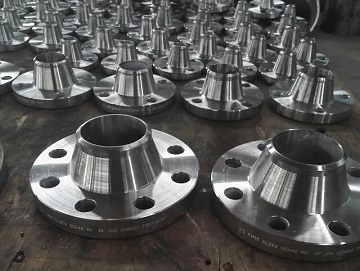 Metals-Piping just finished a batch of Alloy 20 flanges for an Indonesian client: weld neck flanges, ASEM B16.5, Class 300 RF, 3″ SCH40/ 2″ SCH40/ 1-1/4″ SCH40. Material: ASTM B462 UNS N08020 forgings. Application: chemical processing involving 30% sulfuric acid. Our special metal sales network is widely spread in Southeast Asia covering Malaysia, Indonesia, Singapore, Philippine, Vietnam, Brunei, Laos, Cambodia, and Myanmar. Please feel free to contact us for a quote on nickel & nickel alloy piping materials. Other featured products: Inconel 600 | Hastelloy C-276 | Incoloy 800.